In 2015–16, dried grape production (sultana types, currants and raisins) had a value of $41 million (LVP). The 2018 crop is expected to be 20,000 tonnes. The main export markets for dried vine fruits are found in Europe with new market opportunities increasing across Asia. Total exports have averaged around 2,500 to 3,000 tonnes over the past few years. In Australia, grapes for the dried fruit industry are predominantly grown in the Sunraysia region which spans north western Victoria and south western NSW around the Murray River, and also in the SA Riverland. The dried fruit industry regularly distributes biosecurity information and guidelines from PHA to its members via a quarterly publication, The Vine, and through the email newsletter Currant News. The viticulture biosecurity manual has been distributed to dried fruit growers through the major industry processors. The industry also undertakes EPPRD training in order to understand the roles and responsibilities of their officers in the event of a pest incursion. 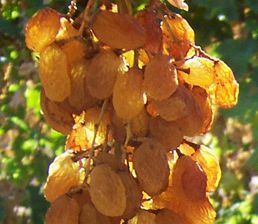 The dried vine fruits industry is covered by version 3.0 of the biosecurity plan for viticulture and the Biosecurity Manual for the Viticulture Industry Version 1.0. 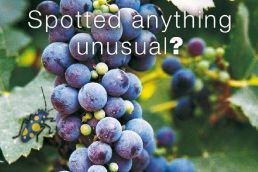 Biosecurity planning provides a mechanism for the viticulture industry, government and other relevant stakeholders to assess current biosecurity practices and future biosecurity needs. Planning identifies procedures that can be put in place to reduce the chance of pests reaching our borders or minimise the impact if a pest incursion occurs. 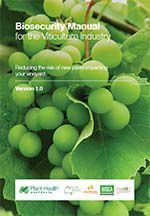 The Industry Biosecurity Plan for the Viticulture Industry outlines key threats to the industry, risk mitigation plans, identification and categorisation of exotic pests and contingency plans. For a copy, please contact PHA on 02 6215 7700 or email admin@phau.com.au. 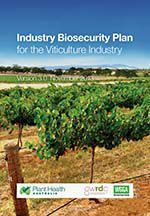 The Biosecurity Manual for Viticulture Industry contains information to help producers to implement biosecurity on-farm. Manuals usually contain an overview of biosecurity, fact sheets to identify the high priority pests of a crop, tips on crop management, and how to manage people, vehicles and equipment to minimise biosecurity risks. Manuals also contain a biosecurity self-assessment list, and templates to record pest surveillance records and visitors. The following is a list of high priority exotic pests of grapes. These pests were identified during the development of the Industry Biosecurity Plan for the Viticulture Industry in consultation with industry, government and scientists. They have been assessed as high priority pests based on their potential to enter, establish, and spread in Australia (eg environmental factors, host range, vectors) and the cost to industry of control measures. The following is a list of documents for other exotic and endemic pests of grapes. Please note that this is not a complete list of pests: rather it includes pests for which documents exist in the Pest Information Document Database. Some of the documents presented here are not tailored to the dried fruit industry and are included for information only.